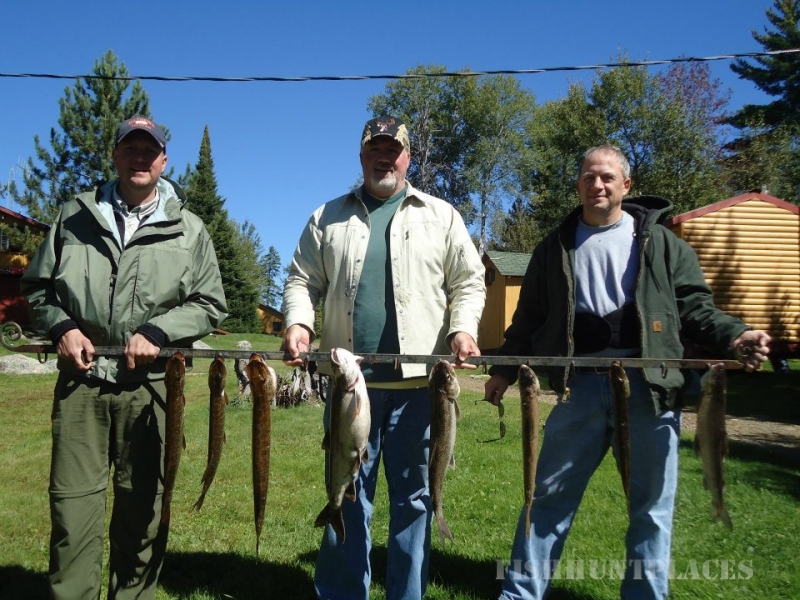 Atikwa Lake Lodge specializes in a secluded Canadian wilderness fly in fishing experience in uncrowded, unspoiled waters featuring trophy northern, abundant lake trout, walleye and musky. 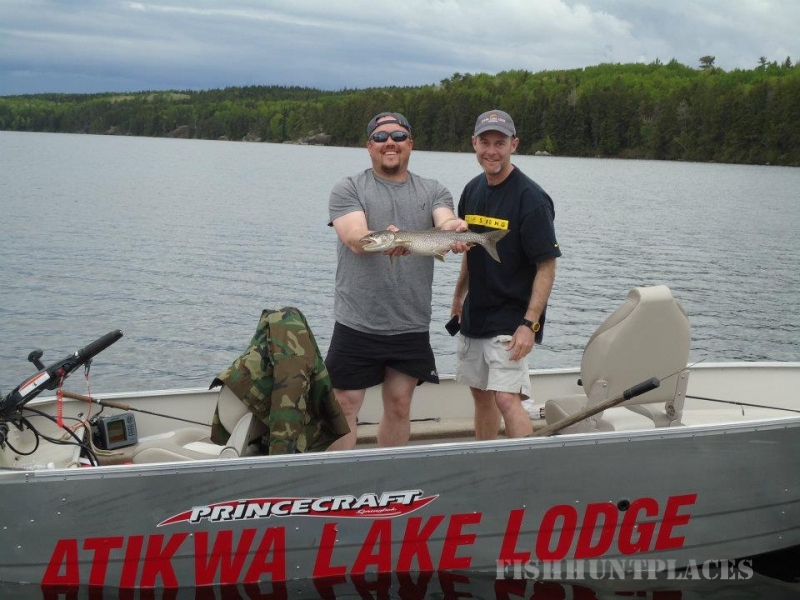 We also have 16 portage lakes with boats and motors for an even more remote adventure. Fly-In from our Nestor Falls, Ontario Canada departure base. The flight will be one of the best parts of your experience. 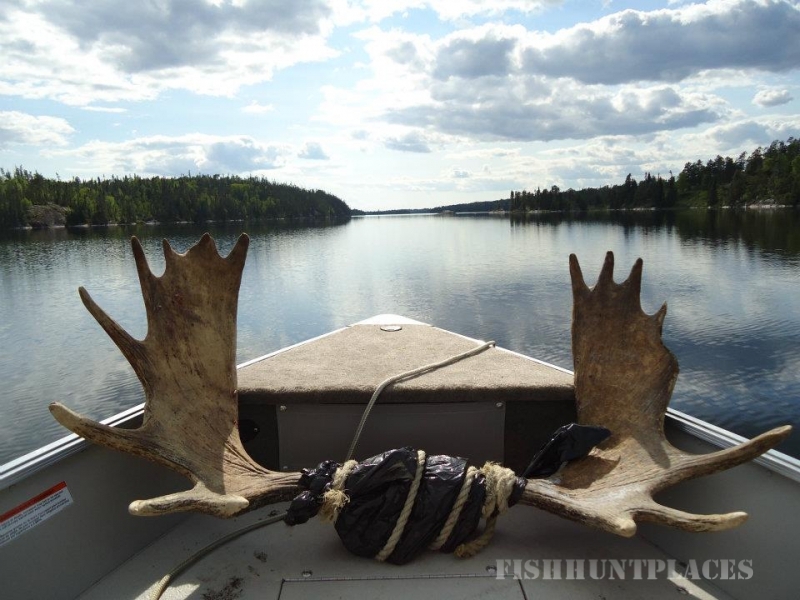 You will be amazed by the scenic beauty of our island location in the middle of breath taking Atikwa Lake. Loons, eagles, moose and bear provide a wildlife backdrop you will long remember. 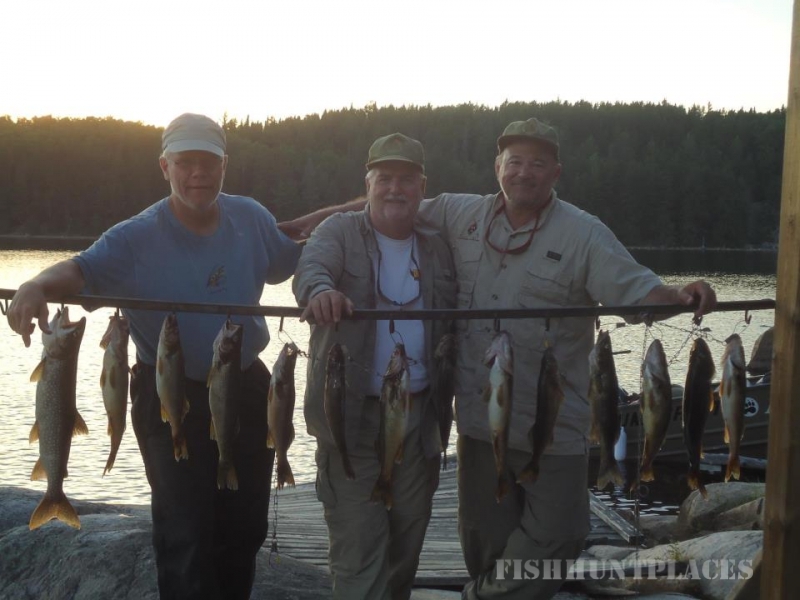 Many of our guests return year after year as much for the quiet scenic beauty as for the excellent Canadian fly-in fishing. 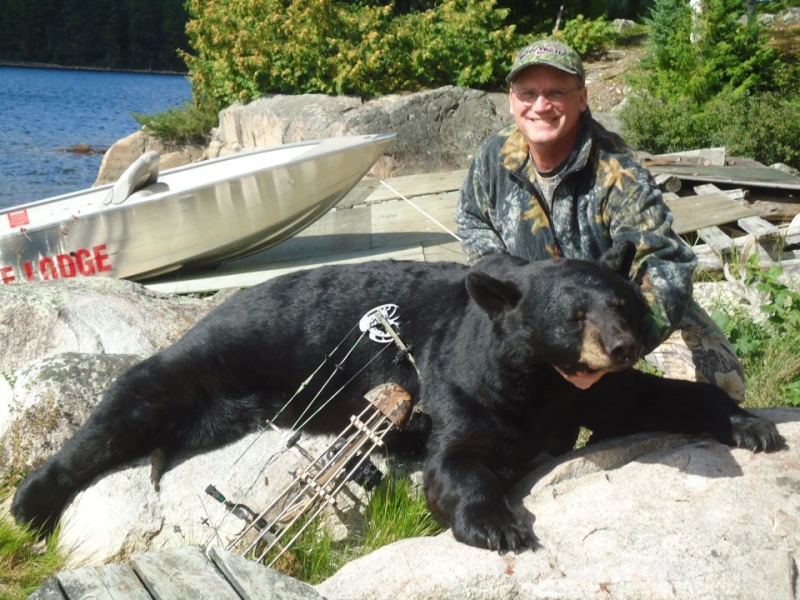 2011 was the start of bear hunting on Atikwa and we had 90% success with 100% opportunity. We just got our bear management area approved. 2010 was a test year. 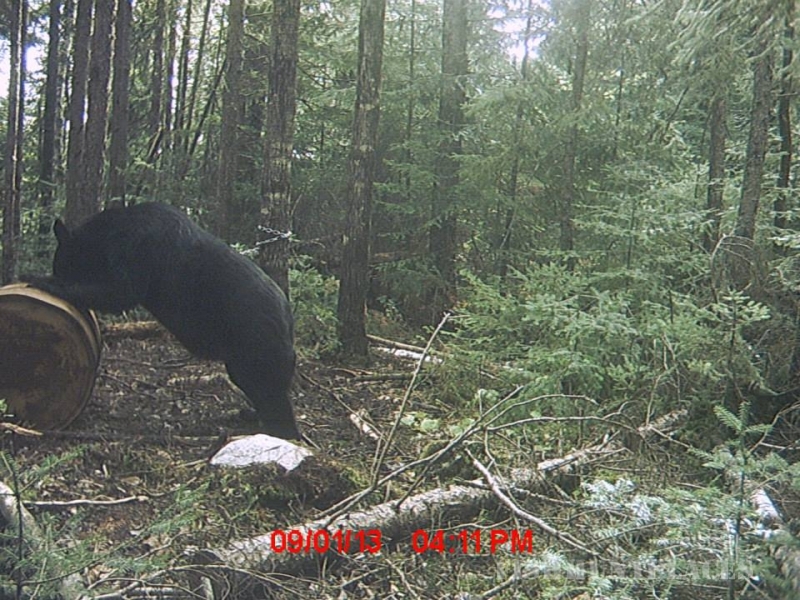 We started baiting in mid July and we ended up taking a 340 pound boar and saw many others on the trail cams. Some huge! The area has never been commercially hunted, so there are some monster bears in the area. 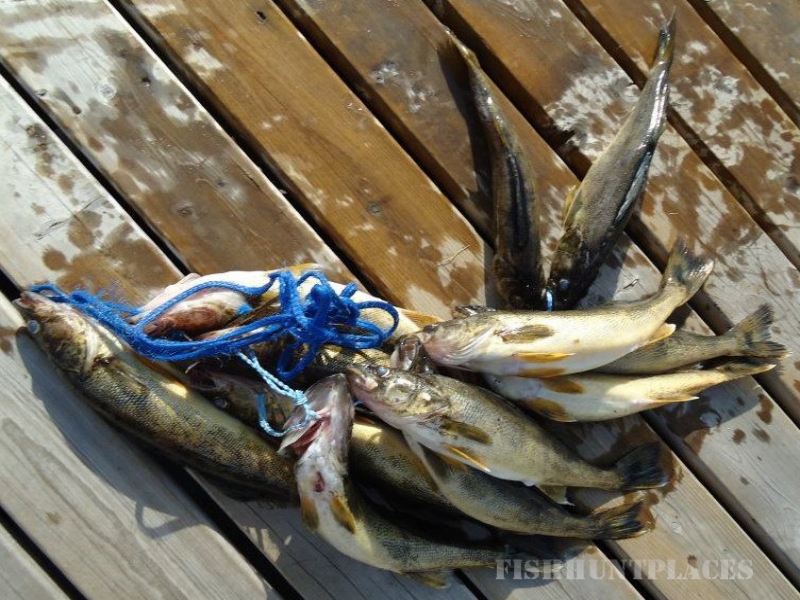 We bait EVERY OTHER DAY starting in mid July. 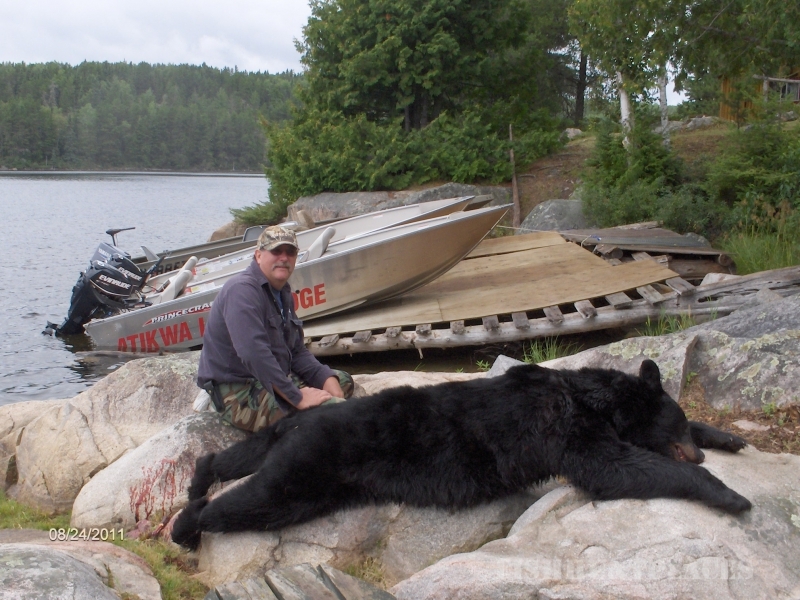 Our biggest problem is trying to get hunters to wait for the bigger bears. Just like any other trophy animal the bigger ones are smarter. The bear in our area die from old age due to almost ZERO hunting pressure. 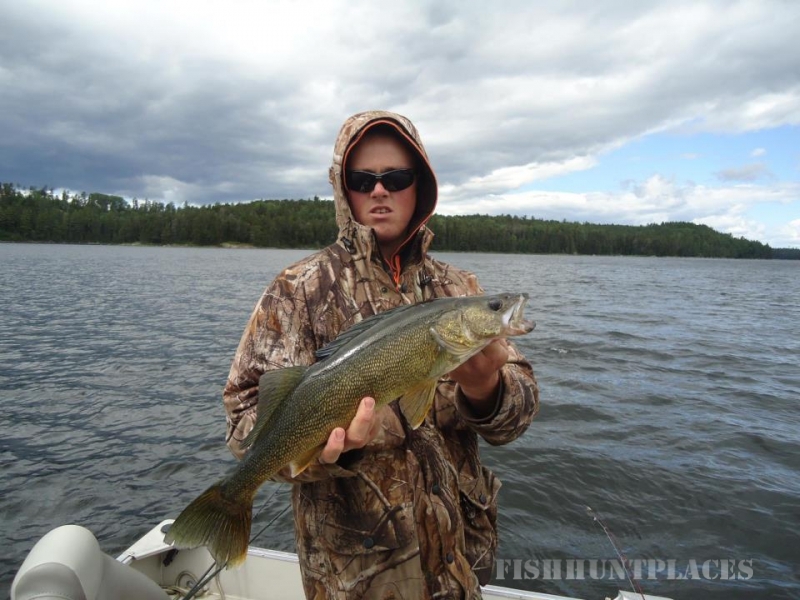 We show you on our trail cams what are shooter bears and what is not but ultimately the final harvest is up to you. 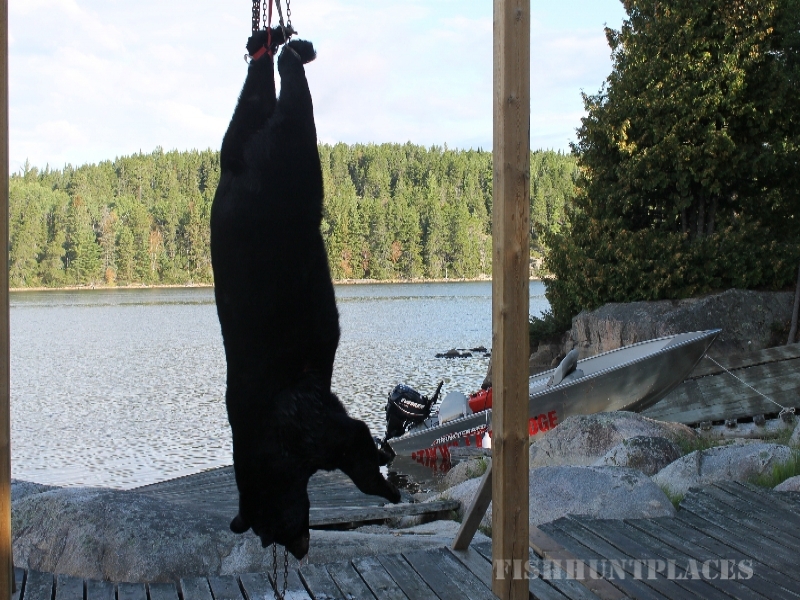 In 2012 we harvested one of the largest bear in the Nestor Falls/Kenora area at 430 pounds. 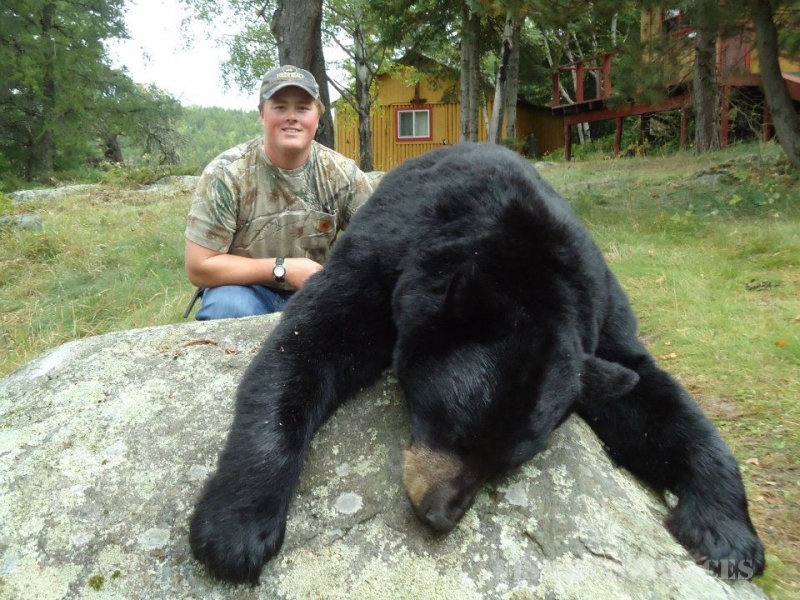 In 2 years we have taken at least 4 bear that would make the Pope and Young record book. We had many color phase bear on the camera and none were taken. In 2014 we were finally able to get beautiful cinnamon with a blond streak down his back. There were at least 3 other colored bear coming into baits.